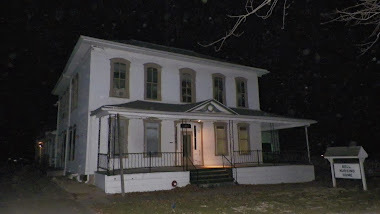 Thirteen of us went to Sedamsville Rectory in Cincinati, Ohio. 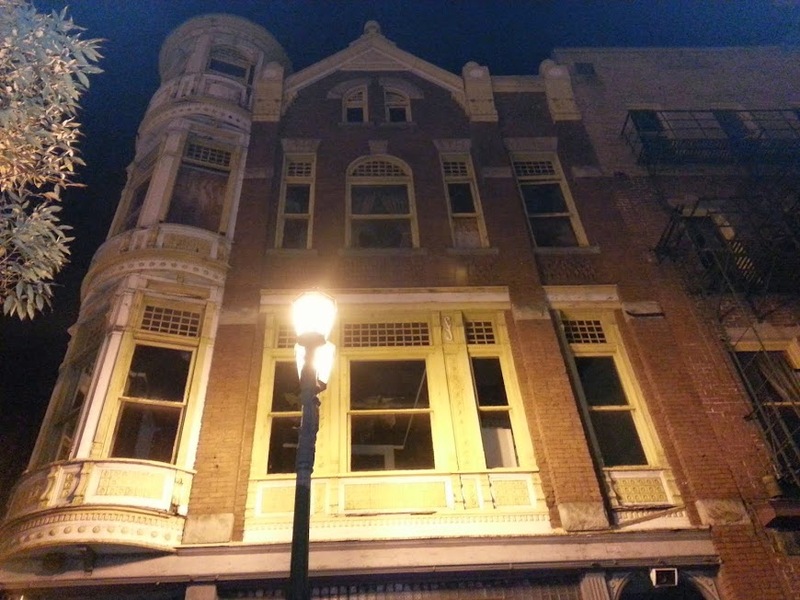 Our Newbie Crew member, Dani, went in September with another group, and convinced us that it would be worth our time to visit this old building for an investigation. 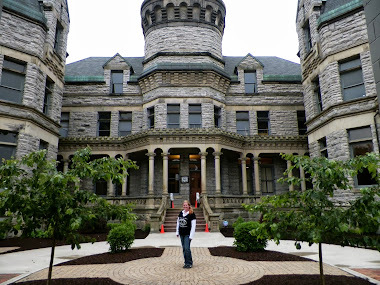 We watched the Ghost Adventures Sedamsville Episode and knew we had to go. 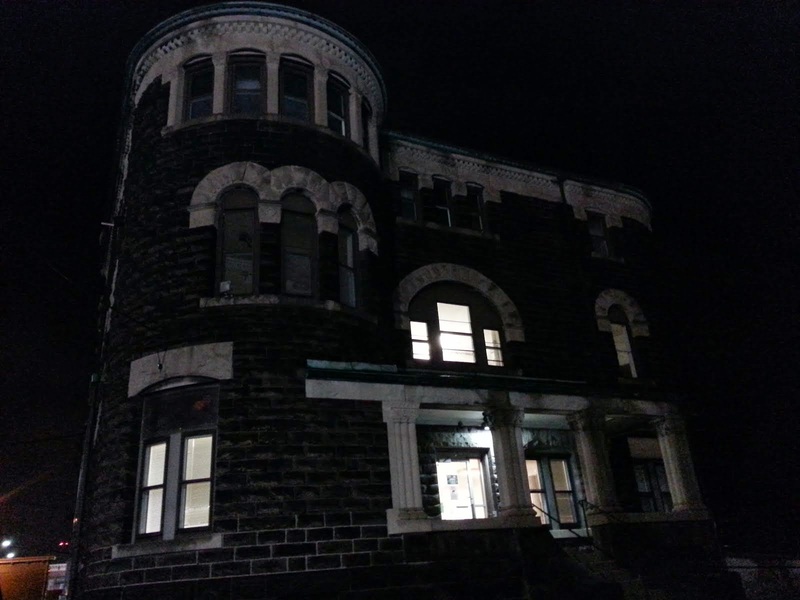 Once a living quarters for the priests of the catholic church beside the rectory and also teachers for the catholic school right below it, the inside is beautiful. It is currently being renovated and they are doing a good job. We went looking for possible Demons or even a Pukwudgie, but didn't find either. We did have interesting things happen, including one of our crew getting scratched. That is a different story, coming tomorrow. We had only been in the rectory about a half an hour when I saw something in the Parlor. It was beside the chair in the corner on the left side. I don't know what it was, but it was about two feet tall. moved behind the chair and then vanished. Jack and I moved the chair but there was nothing there. 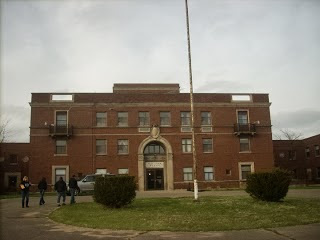 The building seemed to be most active within the first hour we were there, and then in the morning hours we got several excellent EVP. The walls of this building are one foot thick. It was actually colder inside the building than it was outside. Yes, we froze. We expected way more than we got. Perhaps even our preconcieved notions had us thinking it would be more frightening than we thought. There is more to come about this house as we go over the evidence.